Ferdinand Innocenti’s company started in 1931 as a major steel tubing manufacturer. His patented “Innocenti pipe” is still used in scaffolding today. Before the war, the company also developed heavy press machinery. After World War II, Innocenti was mainly known for their Lambretta scooters until they began production of a license-built Austin A40 in 1960. By 1961, the company was producing other models under license, including the Innocenti Spyder, essentially a re-bodied Austin Healy Sprite. 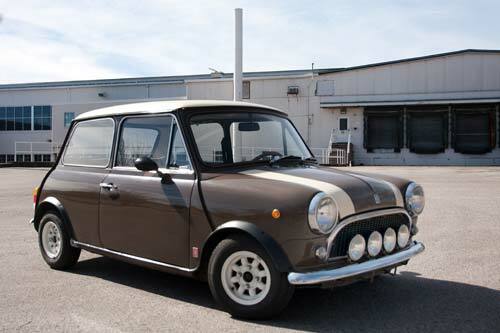 Innocenti built and sold about a dozen different car models under license during its automobile production phase, but the Mini, first on sale in 1965, was by far its most popular car. Although the Innocenti Mini was much more expensive than the Fiat 850, the Mini was very well accepted and sold in large numbers. 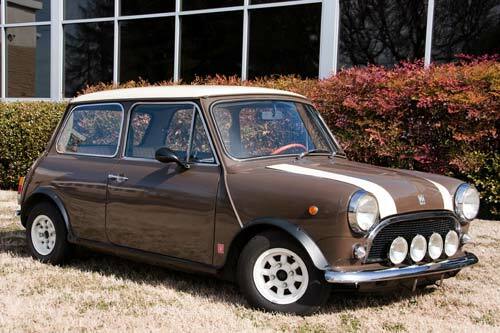 The body, Hydrolastic suspension, and even the 998cc Mark II engine on this 1969 Mini Cooper trim were holdovers from the British version. 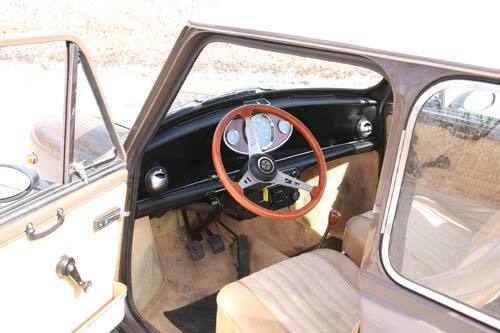 Otherwise, Innocenti used locally sourced glass, different wheels, electrics, lever door handles, heaters, the three-instrument binnacles, and distinctive grilles. Notice that the labels for the controls are in Italian. British Leyland bought Innocenti in 1972; by 1976 it had been sold to Fiat. Fiat still owns the rights, but the Innocenti name has not been used since 1997.